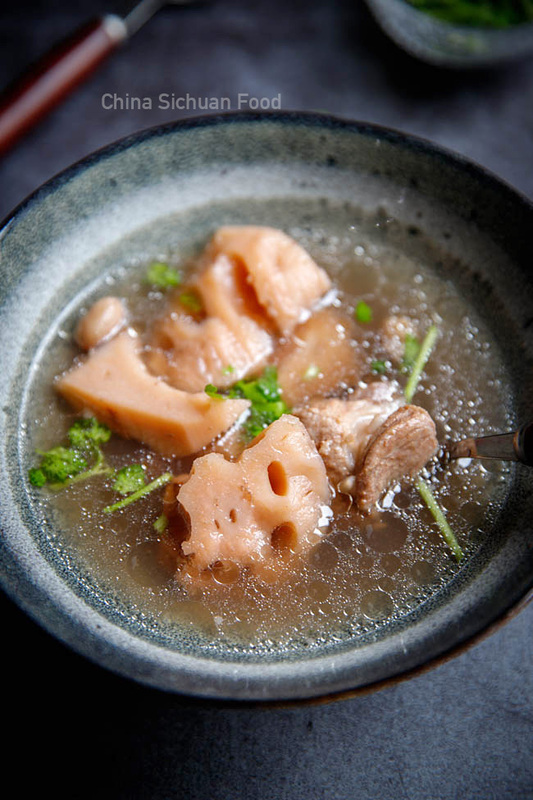 Humble lotus root soup has been on Chinese dinner tables for hundreds of years. Whenever purchasing or buying lotus root, I always remember the lotus root harvest in my husband’s home province-Hubei. Young strong men use pull the lotus root out of the water by hand. Although they grow in the mud of lakes, the lotus root itself is white and clean. 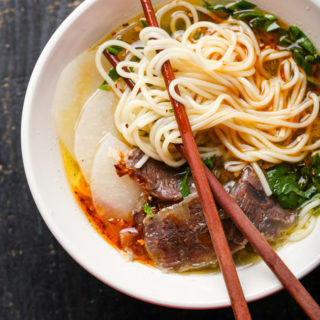 Hot and healthy soups are always comforting in cold days. 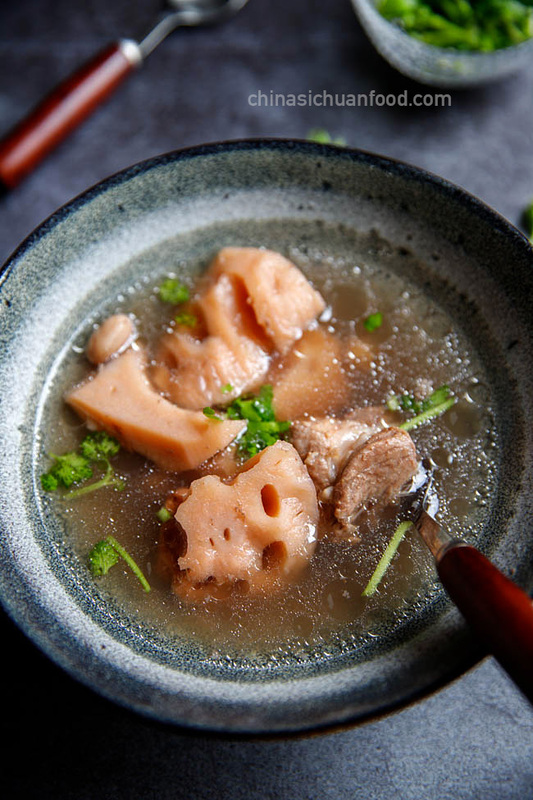 Lotus root soup with pork bones and deep-fried stuffed lotus roots are quintessential Hubei Spring Festival dishes. I have tasted them lot of times in my mother-in law’s house. Always happy memories for me. Miles away, in Canton province, where people love to make stews and soups, I encounter this soup very frequently. 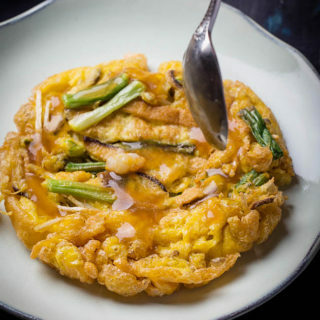 Their version is slightly different since it contains peanuts, goji berries and sometimes, dried golden needle flower are added. Ribs do not have too much fat, yet they provide lots of flavor without overpowering the fresh aroma of lotus root. 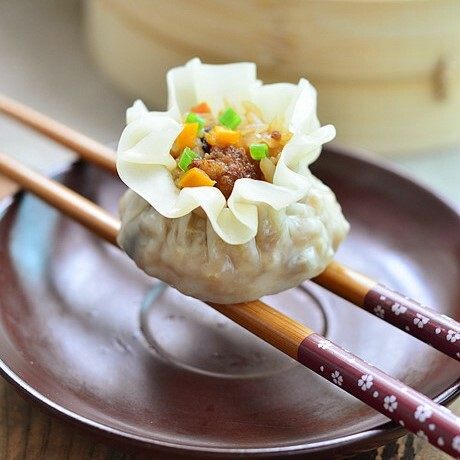 When it is well cooked, the soup has a slightly brown color with a light sweet taste. 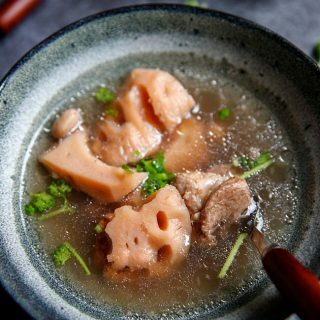 In my hometown Chongqing where hot pot is widely loved in winter, we use lotus root soup as the soup base for a healthier hot pot. After drinking the soup, we can blanch other vegetables or mushrooms and make it a complete meal. High quality lotus root gives a very lightly brownish pink to the soup after cooked. High pressure cooker is highly recommend for making yummy and quick soups in winter. I get two in my kitchen and they are my favorite cooking tool. 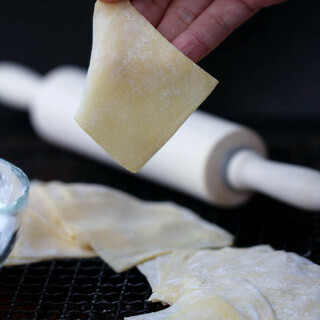 It is extremely popular in Chinese kitchen, the best tool for simmering, soups and stews. Salt should be added a the very end before serving. After add salt, cover the lid and stand for 10 minutes before serving. High quality ribs should be soaked in clean water for at least 3 minutes with 2-3 batches of clean water until most of the blood water is removed. You can also try to blanch the ribs in boiling water. But from personal experiences, directly cooked ribs are tender than blanched ones. Soak the ribs in clean water for 30 minutes and then transfer to a large pot with cold water. Change the water for 2-3 minutes until most of the blood water is removed. Rinse peanuts under running water. Wash the lotus root and peel off the skin and cut into large chunks. 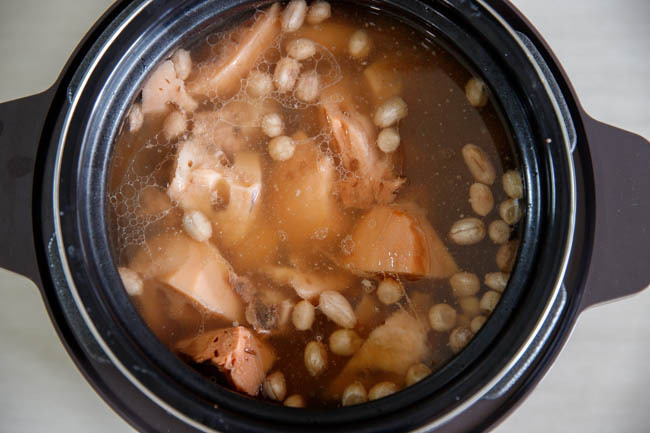 Throw peanuts, ginger and lotus root chunks into a stew pot of a high pressure cooker. Add water and cook with a soup or bones procedure. Add salt to taste and cover the lid and stand for another 10 minutes. Then serve with finely chopped scallion. 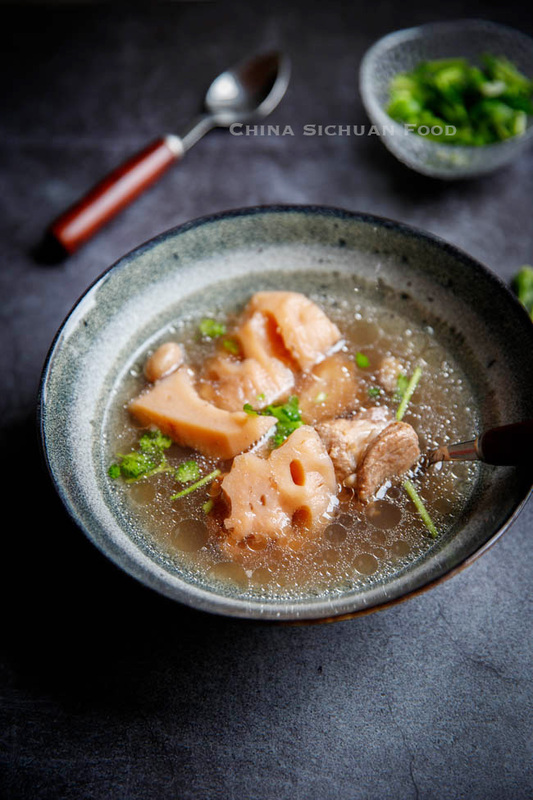 Healthy and super easy Chinese style lotus roots soup, the same delicious as grandma cooks. Clean the ribs under running water and then soak the ribs in clean water for 30 minutes. Change the water 2 times. Drain and set aside. When you are ready to serve add salt to taste and cover the lid and stand for another 10 minutes. 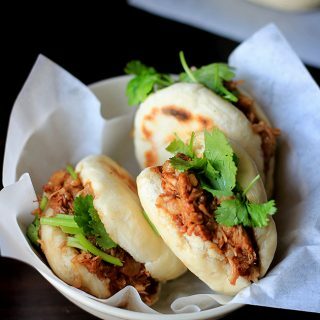 Serve with coriander or scallion. Note1: This step helps to produce a clear soup at the end. The foam that forms from the blood can stick to the pot and spoil the texture and taste. Note2: Putting hot cooked ribs into cold water can cause the meat to tighten, which harms the texture. Note3: If you are using high pressure cooker to stew this soup, the best water level is 2 cm to 4 cm higher than the ingredients. However with a regular pot, you may need to add more water to compensate for evaporation. 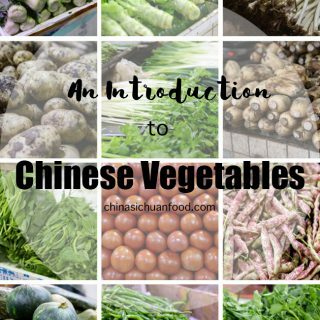 It is healthy vegetable! I am fascinated about the appearance too. Thank You Elaine. I’ve been seeing lotus roots at the Chinese grocery store for a while now and wondered what to do with them. But this recipe is delicious! I have two questions though. First, the peanuts in the photo seem quite dark. Are they roasted or did you just leave the skin on them for the photo? Secondly, how do I determine whether the lotus roots are fresh when I go shopping? The ones I got where not broken apart (and there was no dirt in them) but they where not as white on the inside as on your photos but a little darker, like yours after the cooking. So I assume they where not as fresh as they should be. Are there any tricks, like pressing them or looking for any specific detail (I obviously can’t cut them apart in the shop)? It is raw peanuts I used in this soup. 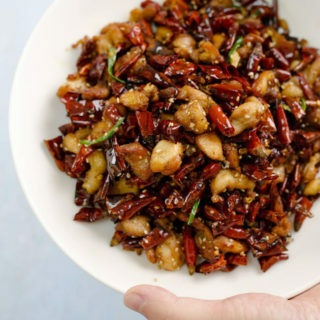 In Chinese cuisine, we usually keep the peanut skin as we think it is quite beneficial. But it is ok if you prefer to remove them. When shopping lotus root, I usually choose plump ones with smooth and clean skin. That’s all my experience. It is ok if the lotus root is slightly darker than mine as long as they are not blackened. it never occurred to me to leave the skin on the peanuts for cooking, In European cuisine recipes with peanuts are quite rare 🙂 I’ll definitely try that out next time. Thanks a lot for putting up with my questions. do you serve this with some kind of dipping sauce for the meat? No, there is no need Andreas. 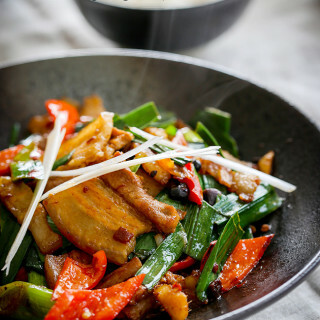 The ribs have a very faint taste of sweet and freshness absorb from the lotus root. The taste should be one of the greatest mild meat. Thank you for mentioning the Cantonese variety. I’ll try that soon, too. I didn’t quite understand the thing with the hot pot. If you drink all the soup first what do you use to blanch the vegetables in? Could you maybe explain that a little bit more? 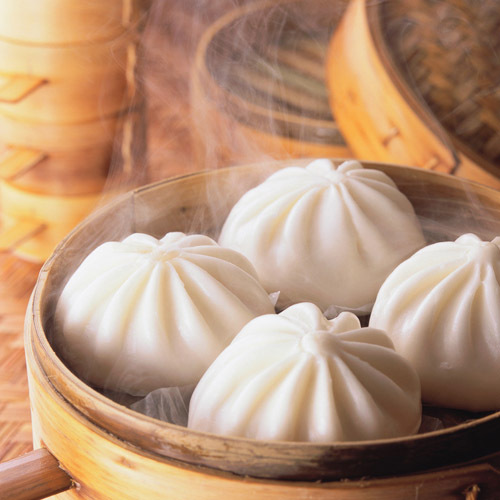 Lotus soup hot pot is very popular in China now. You get a very good point here. 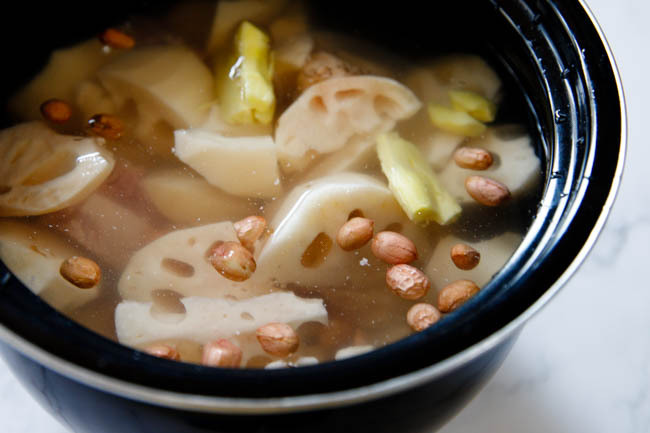 If you want to make hot pot at home, make a large pot of soup can solve the problem. 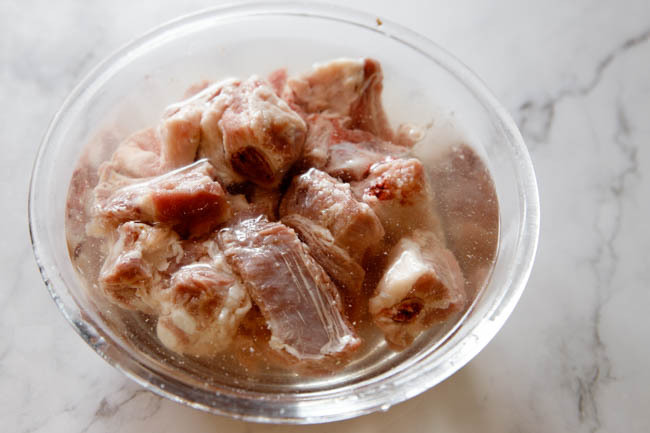 For example slightly increase the ingredients (or add a large pork bone) with at 8 to 10L water. Once the soup is done, take 1/3 out for the first serving with the most of the ribs and vegetables. 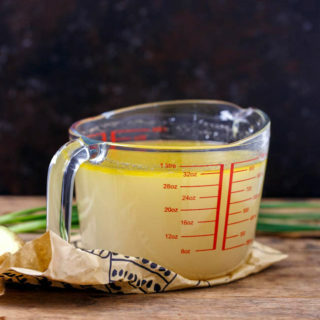 After ribs and vegetables are eaten up, pour in the remaining soup to keep a 3-4 cm high soup level and begin to blanch other vegetables. It is very comforting in winter days. Ah! Now I understand. Thank you very much for explaining Elaine.